Date: Dec 6 2018, 8 a.m. - 3 p.m. 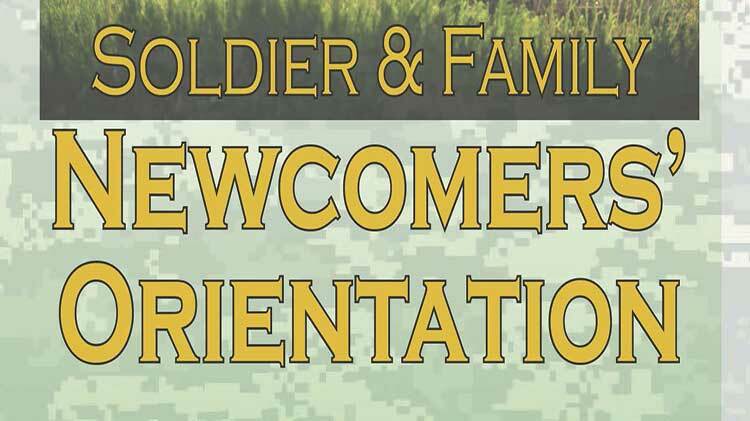 The “Soldier & Family Newcomers’ Orientation” is an interactive Family Orientation to welcome and inform newly arrived Soldiers and Family Members of resources available at Fort Campbell. The Soldier and Family Newcomers’ Orientation is a one stop shop for Newcomers information in one location so Newcomers don’t have to drive all over the post looking for information. The Newcomers Orientation is held every Thursday at the ACS Family Resource Center from 8 a.m. - 3 p.m. The Orientation is mandatory for all Soldiers arriving to Fort Campbell and Family Members are strongly encouraged to attend. Representatives from several agencies are present to provide important information for “Newcomers.” Agencies present include Army Community Service (ACS), Family, Morale, Welfare and Recreation (MWR), Chaplains, Better Opportunities for Single Soldiers (BOSS), Armed Services YMCA, American Red Cross, Family Housing On/Off Post, Education Center, School Liaison Officers, Child & Youth Services, Family Readiness Liaison (FRL) and Medical and Dental. Lunch is included. Childcare is available. Due to limited childcare slots, please contact a Relocation Specialist for the Child & Youth Services Newcomers Kids on Site Registration Form to submit to our office. For more information call +1 (270)798-6313.